The gazebo at Eden Nature Park here in Davao. This was taken during our family trip to Eden Nature Park here in Davao. When you want a place away from the hassle and bustle of the city, family bonding, get together, this nature park is perfect, set at the foot of Mt. Apo and overlooks the city. There are lots of things you can do around here, hiking, horseback riding, trekking, zipline adventures and the best part … eating, lol. I love gazebos and this one is delightful! What great shots, Vernz! Perfect for the G Day! Hope your week is going well! Enjoy! Of course eating!! Gazebo is also a Good post for G. I hope to return to Davao soon and see this pretty gazebo. Wonderful park. 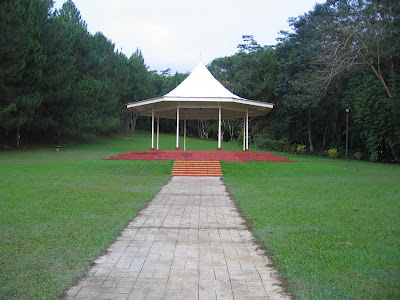 Is the gazebo used for musical events or other important happenings? ooh that is a tranquil place....i especially love the last photo. I love Gazebos they just seem to say, come sit a spell and enjoy the scenery. Great choice for G day. A great place for garden wedding. Huwag lang uulan hehe! Happy Wednesday! 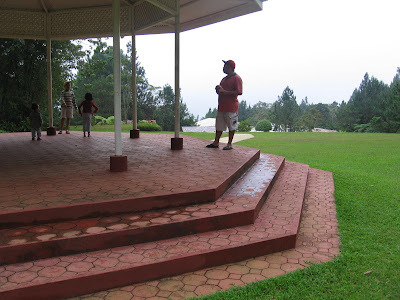 Great gazebo photos, Vernz. The gazebo in the mist is so beautiful. Such a neat clean place. 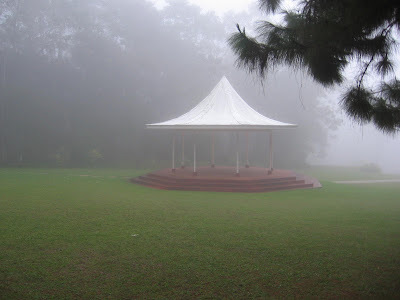 The gazebo in the mist looks so very beautiful. Love your last photo - what a beautiful place to take shelter from the misty rain. Ang Ganda naman ng Gazebo na yan! What a beautiful gazebo! And, a beautiful spot of Shangrila. Adgitizing here and can't help but comment. I was at Eden's with some friends last summer and I really loved that place! We were not able to go for a guided tour because we arrived a bit late but still, we were able to enjoy the sights and sounds. We even went horseback riding and sky riding. I will be back in Davao this month and hopefully, find time to visit Eden's again for some photo opps. Thanks for sharing your photos! Gazebos are the greatest. Thanks for joining us on ABC Wednesday.